A recent experience I had demonstrated to me a key challenge with today’s roaming services. 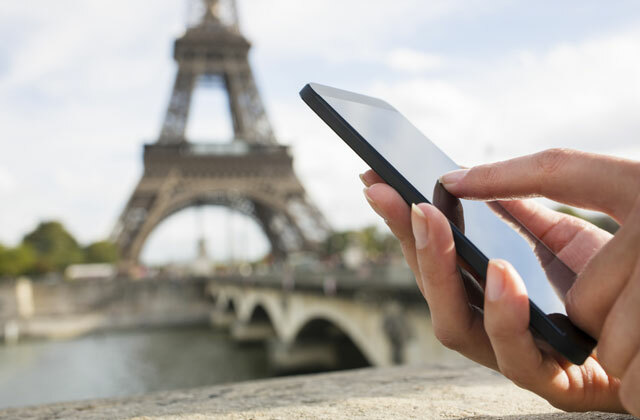 The experience happened while I was on holiday recently, and it offers a valuable lesson about the hurdles that operators face in maximizing roaming performance. I had been quite content with the average-quality Wi-Fi and its availability in the bar areas of the hotel where I was staying. Soon enough, though, leaving my sun bed to get in Wi-Fi range had become too much like hard work. Imagine my delight then at receiving a text-message-based offer from my home operator. The offer was well-priced, and accessing it was clearly explained. So, despite the hindrance of sun cream on my touch screen, I proceeded to purchase. But then it all went horribly wrong. Turning on data roaming revealed that I was attached to a slow network with poor coverage. After waiting for three minutes, I still wasn’t able to connect and enter the portal to download the offer. Suffice to say I jettisoned buying and carried myself back to the Wi-Fi at the bar areas. The retail function of my home operator had executed a textbook example of how to get an offer right, even to the point where it would have outcompeted the free Wi-Fi available. Ultimately, though, my operator was asking me to buy something that did not exist! Had the operator been able to assess the quality of data service at my location, it could have first found a way to improve the service or restructure the offer according to the quality available to better entice me to make this purchase. This anecdote illustrates the power of real-time intelligence as a tool to enhance roaming usage. The operators that will profit the most from real-time insight will be the ones that apply it to subscribers in an integrated fashion. Specifically, the key lies in focusing on the areas of retail, wholesale and quality as part of an overarching goal of driving up roaming usage to equal that of home usage. This strategy can enable operators to reach their zenith in terms of revenue, trading power, user experience and brand engagement. Retail – The contextual deployment of customized retail roaming packs, with real-time usage transparency, can nurture a new wave of global travelers to see roaming as a natural extension of their home environment. Hesitant roamers can be spurred to increase use because of the high relevance and easy accessibility of the offers they receive. In this way, new technologies now enable the offering of a number of tailored data usage and pricing plans that can be targeted to specific subscriber segments. These plans are a giant leap forward from the more traditional one-size-fits-all plans, and they offer subscribers packages based on exactly how they expect to use roaming service. Wholesale – The mutual dependence between wholesale and retail cannot be overstated. Increases in retail volumes help partner trading negotiations, which in turn bring cost control enabling more latitude for even better-calibrated retail prices. However, the execution is contingent on nimble and real-time adjustable traffic steering. Continuously monitoring the distribution of the traffic coming into a home market can offer powerful insight to drive up inbound revenue as well. Quality – This is probably the most critical area. Operators have to know that quality is good enough when it is needed. Real-time visibility of the quality of the subscriber experience and the ability to influence it form the absolute foundation of the roaming experience. To this end, new technologies can help ensure that operators can consistently deliver top service by identifying network abnormalities – like data registration failures and traffic patterns – and solving them before they affect subscribers. Or, in my particular case, ensuring offers are only sent to subscribers roaming on networks exhibiting sufficiently fast upload and download speeds. As the roaming market continues to become increasingly competitive, focusing on the areas of retail, wholesale and quality as an integrated whole can offer operators a valuable strategy for driving up roaming usage to equal that of home usage. What’s your view? What challenges do you think exist for reaching that elusive goal of getting roamers to use the same amount of mobile service abroad as they do when they’re at home? Dan joined Syniverse in 2011, and, as Senior Manager of Product Marketing, is responsible for a range of initiatives to drive the growth of Syniverse’s intelligent roaming and partner management services. He has over 15 years of experience in the mobile industry and a special expertise in the roaming space. Prior to Syniverse, he served as Head of Commercial Development at Orange UK, where he was instrumental in the growth of Orange UK’s roaming and interconnect business and oversaw product management, solutions delivery, and operations during a nine-year period. Previously, Dan worked as a brand manager in the automotive sector and was involved in a wide spectrum of marketing disciplines, including such areas as television commercials, market research, pricing, forecasting, retail sales training and media briefings. He has an honors degree in business administration from Hull University in the U.K.